San Diego CA hard rock / New Wave of Traditional Heavy Metal duo TZIMANI will head out on one final tour to support their 2018 self-titled debut EP. 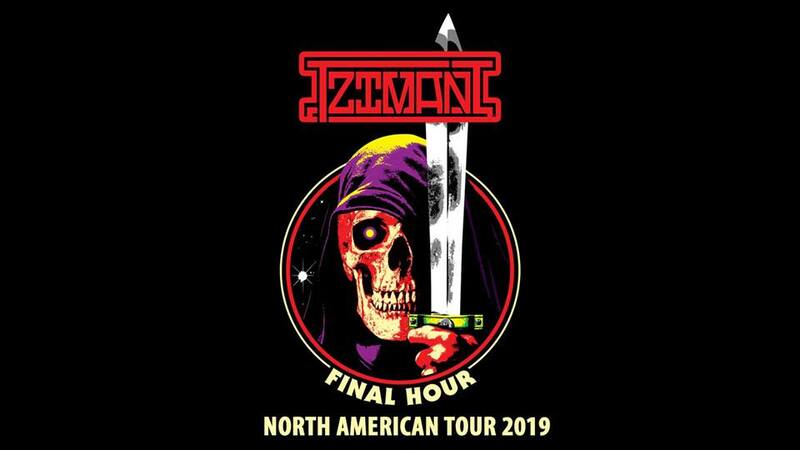 Aptly titled the ‘Final Hour’ tour, this three-week trek will take Tzimani up the U.S. West Coast, through previously unconquered markets in Canada, and back down through select U.S. markets, for a total of 20 shows in 24 days, starting on March 21 and ending on April 13. For those uninitiated, Tzimani presents a bold new take on traditional heavy metal which infuses modern elements into old-school stylings that have existed for more than four decades, and giving listeners catchy, memorable tunes that leave a long-lasting impact but are not simply a regurgitation of things already done to death by countless bands over the years. Tzimani stands on the perfect middle ground between the old school and the new school of heavy music, and has the ability to make the same kind of instant impact on fans of both styles. The band’s live performances also reflect this special quality, as the music itself exhibits some of the old-school tendencies, while the two-piece setup gives it a modern feel which separates Tzimani from your run-of-the-mill traditional metal revivalist bands.